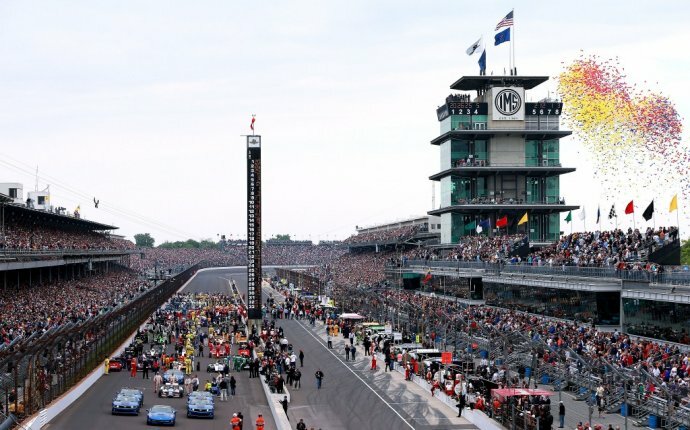 The 2017 Indy 500 will take place on Sunday, May 28, as Formula 1 star Fernando Alonso will take part in the iconic race for the first time. The eyes of the motorsport world will be on the event more than ever―Alonso went so far as to skip the Monaco Grand Prix, arguably the biggest race on the F1 calendar, just to drive in the Indy 500. European fans are expected to tune in as soon as the Monaco GP finishes. The start of the race is expected to be at 12:19 p.m ET (5:19 p.m. BST), and coverage will be available via ABC, ESPN and BT Sport. Live streams can be found via the WatchESPN app and the BT Sport app. Sporting News' Ellis Williams detailed the full TV schedule and starting lineup. New Zealand's Scott Dixon, the winner of the 2008 race, blew everyone away during qualifying to grab pole position. Is Scott Dixon the most underrated open-wheel racer in American open-wheel history? Pole position went to Ganassi, but Andretti took four of the first six slots, and they appear to be in sensational form. The same can't be said for Penske, with only Will Power starting from the first three rows. Beyond Dixon, the list of top contenders is long. Defending champion Alexander Rossi was a shock winner last year, but he's since joined the club of elite racers and will be a force to be reckoned with. Ed Carpenter will also start from the front row, and fans will keep a close eye on the likes of J.R. Hildebrand and Ryan Hunter-Reay as well―the latter missed out on the Fast Nine but has impressed nonetheless. But if there's one man who will soak up all the headlines and attention, it's Alonso. The Spaniard remains one of the most popular and talented drivers in the world, evidenced by the short time he needed to adapt to Indycar. Alonso hasn't driven a competitive F1 car in years―the fact he'll be starting from the second row will do him the world of good. Rookies or inexperienced Indycar drivers have had success at the Indy 500 before―just ask Rossi, who was a huge longshot to win last year. The experience on oval tracks for drivers like Dixon could make the difference, but Alonso didn't travel to the United States as a publicity stunt. While he isn't the favourite to win, don't be shocked if the Spaniard ends the day on the top step.